A Kachina is a symbol of one’s natural surroundings. For example, there is a Kachina made specifically for the sun, resembling a god-like presence. 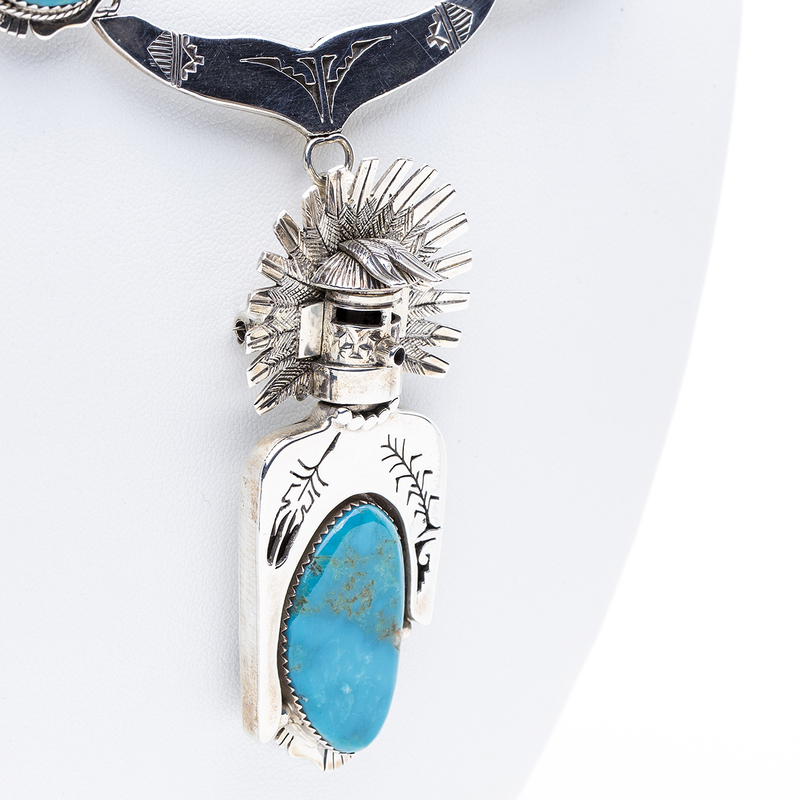 Beautifully handmade by gifted Navajo silversmith and artist Nelson Morgan, this necklace can be worn as a whole or separated into 3 different pins and pendants! 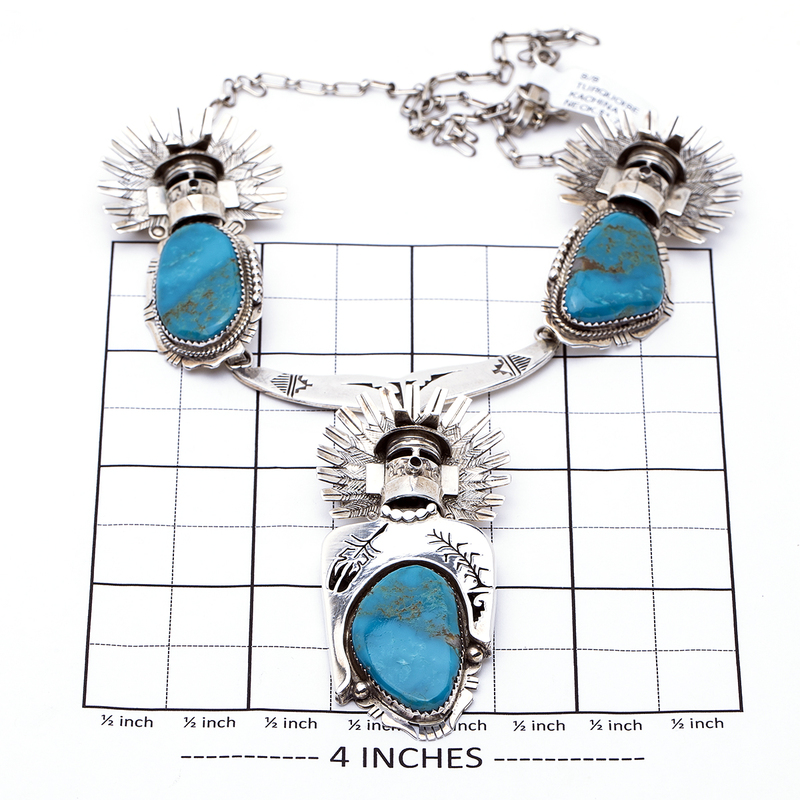 This necklace measures 19 1/2″ in length with a 3 1/2″ drop in front. Hallmarked “NM” with Nelson’s Leaf stamp and “Sterling”. This necklace weighs 60.3 grams. We also offer free gift wrapping with each purchase. 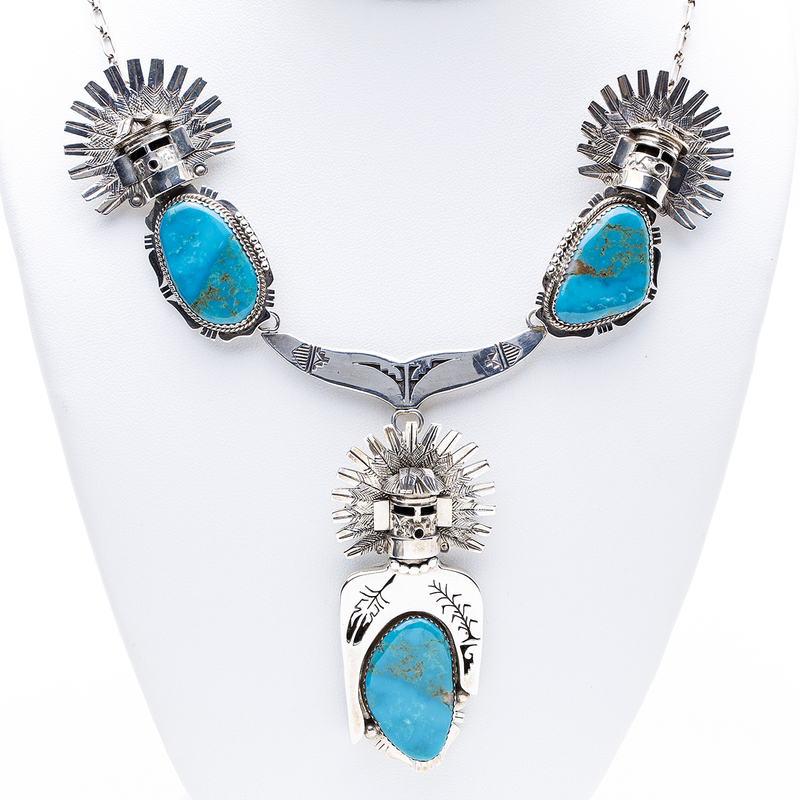 Navajo N Morgan Turquoise Necklace shows off sky blue Turquoise with Sterling Silver Kachinas by Navajo artist Nelson Morgan! Handcrafted traditionally!